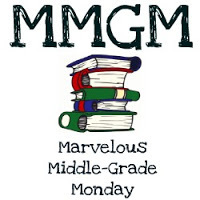 This entry was posted in Middle Grade Book Reviews and tagged Alex T. Smith, Marvelous Middle Grade Monday, Mr. Penguin and the lost treasure. Bookmark the permalink. Those transitional books really are important. This sounds like a fun one. Thanks for the post. This looks like the perfect read for my nephew who’s in this stage, so many thanks for the recommendation! You’re right that there needs to be some transition books. This sounds like a fun one. I love this cover art! The story sounds clever and valuable to those readers in transition from one level to another. Thanks for sharing this for MMGM. This sounds intriguing! And the jacket art is enticing… so yeah, adding it to my list.